The Republican Party is on the verge of winning enough seats to win the US Senate. Along with control of the House, the GOP can make a difference in at least stymieing the damage that Barack Obama can continue to do on this country. The Senate, without Harry Reid as the majority leader, will bring up legislation passed by the GOP led House. While, yes, any legislation passed might very well be vetoed by this president, the issues will be directly before the American people and their input will be important on influencing other Democrats and their attempts to stop everything the GOP does. If the president vetoes everything, I can very well see a situation where the heat gets so heavy on the Democratic politicians, that eventually some presidential veto[s] are overridden. Also, with the majority leader in the Senate being a Republican, the GOP will control the committees and how investigations are held on various department scandals and on dubious executive actions. With the GOP in control of both houses I can envision joint [between the house and the senate] committee hearings. Also, with the GOP in control of the Senate, there will be an even stronger voice supporting Israel and willing to take tough votes that Harry Reid would not allow . For example, even though in the last congress there was a bi-partisan bill to renew strong harsh sanctions on Iran, Harry Reid would not allow a vote on that bill because he knew that bill would have passed and they knew the president would have vetoed it-putting Democrats in the embarrassing position of having to over-ride his veto. On this issue please read my post: "AIPAC, Will You Finally Call For A Vote On The Iran Sanctions Bill". Also, and I think most importantly, with the GOP in control of the Senate and not Harry Reid and the Democrats, the Republicans will have a say [and a vote of consent] on the president's judicial appointments [including, God forbid this happens, any nominees to the Supreme Court]. Harry Reid illegally changed the rules of the Senate to make it impossible to filibuster appointments by the president, but that block I am certain will be lifted by the GOP. The appointments to the various appeals courts and other federal courts are crucial to the direction of this country for many years, if not decades, ahead. So, that demonstrates the importance of the GOP winning the senate and thereby being in control of both Houses of congress. That would be good news for the country. But the achievement of winning the senate, which is within the grasp of the GOP, could be dependent on not losing the Kansas senate seat. This is a seat the GOP now holds, so to lose the Kansas senate seat will mean the GOP will need to pick up 7 senate seats they do not hold now, instead of 6. It can be done but it will be much more difficult. We are counting on you, great state of Kansas! Holding the seat now is Senator Pat Roberts. His "independent" [i.e., Democrat] challenger is Greg Orman. Yes, Pat Roberts is old and he has been in the Senate a long time, and maybe he shouldn't have run and maybe a younger tea party member would have been better, but it is, what it is. He must be the choice now of Kansans. I am and was a strong, strong supporter of tea party candidate, Senator Ted Cruz, R-TX. When he was in single digits, with no one giving him any chance to be the GOP nominee, this blog, The Tales, endorsed his candidacy. It would have hurt me if he lost in the primary, and yes, I would have been upset, but there is no way in hell I would have used my feelings of being hurt and upset by voting for the Democrat for US Senate from Texas. While being upset I would realize, except for a very tiny number of examples, there is still a huge difference by voting for someone who would be on my side of the issues the overwhelming majority of time, versus a Democrat who would be against my side on almost every issue. I care too much about this country to take my anger about my candidate not winning and try to "teach the establishment a lesson" by not voting or voting for the Democrat. 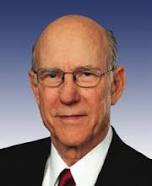 As long as I have known him, Pat Roberts has been a solid [and for the most part] conservative Republican. I remember seeing Pat Roberts stand with Senator Ted Cruz during his filibuster when few others Republicans had the guts to. Do you think Greg Orman, an "independent" Democrat would have stood with Ted Cruz? . Pat Roberts certainly will be better than Greg Orman, who, make no doubt about it, will caucus with the Democrats. Let me repeat that. There is zero doubt who Greg Orman will caucus with, if the seat is dependent on who controls the senate....it will be with Harry Reid and the Democrats. Think, Kansans, think. Why do you think the Democrat got out of the race and the Democrats sued to make sure the Democrat was not on the ballot? They did that because they know that Orman will be on their side and could defeat the Republican who they know will not be on their side. This is their big gambit, they think, to hold on to the senate. Don't let them get away with it. What else lets you know that Orman won't caucus with the GOP is that he says he doesn't know who he will caucus with. All Orman would have to say is that he would caucus with the GOP to ensure his election in a conservative state like Kansas. The fact that he won't state that, proves that he won't caucus with the GOP, but he doesn't want you to know that. Greg Orman, if Kansas elects him, will caucus with the Democrats by voting for Harry Reid as the majority leader. So, no matter what you think of Pat Roberts, if you, Kansas, do not want the United States senate to be led by Harry Reid and the Democrats [which will ensure the continuation of the Obama agenda], you must vote for Pat Roberts to be re-elected. As Fred Barnes stated so succinctly on the Hugh Hewitt show on Wednesday night, "A vote for Greg Orman is a vote for Harry Reid and the continuation of the Obama agenda." The fate of the United States may very well be in the hands of the people of the great state of Kansas. I believe, in the end, the great Americans in Kansas will make the right choice! Update: Great breaking news as announced by Hugh Hewitt on the Hugh Hewitt show on Wednesday late afternoon. A new CNN poll finds that Pat Roberts, after being as much as double digits behind Orman, has just taken a one point lead against the Democrat...err... independent. WOW, the Tales blog has more influence than I thought. That poll was taken before this post was even published and we still had influence on the people of Kansas.